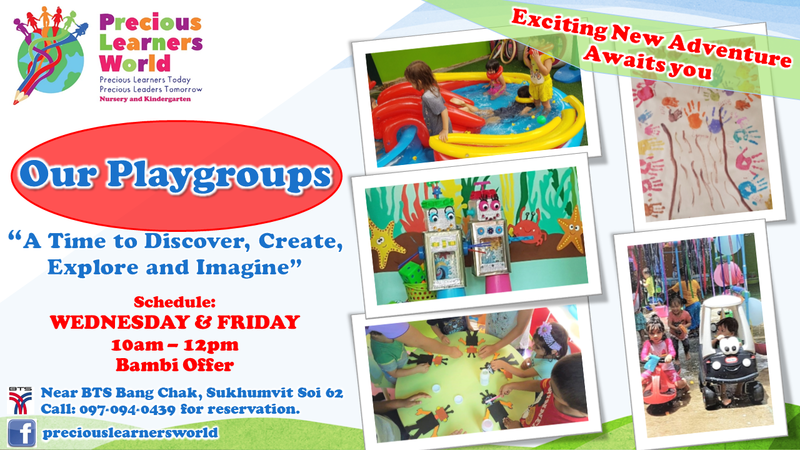 Every Wed and Thu we have regular thematic playgroups from 10am to 12pm. Parents and Children engage in Fun activities, arts and crafts, dance and music. Each day is a new theme and every once in a while there are Special Mega Theme Playgroups and it gets all the more exciting. SHUTTLE SERVICE To BTS BANGCHAK available. For members of BAMBI there is a special discount offer.